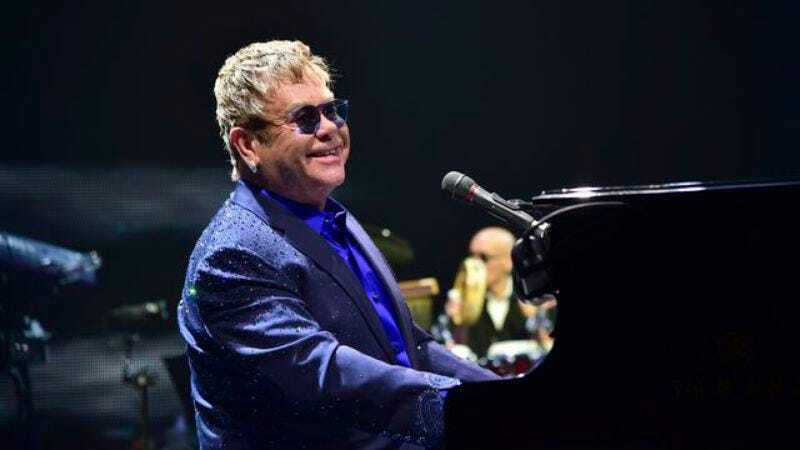 Co-songwriters Elton John and Bernie Taupin are collaborating with YouTube on a contest that would have participants submit their own music videos for the three all-night-diner mainstay songs, The Los Angeles Times reports. For “Rocket Man,” they’re requesting animated submissions, and choreographed submissions for “Bennie And The Jets.” No strong suggestions for “Tiny Dancer,” but hopefully there won’t be too many involving people singing together while in transit. “YouTube is a rich tapestry of creativity, and I can’t wait to see how the breadth of talent from the dance, live-action and animation communities apply their vision to these cherished songs,” John said via a statement. The contest, creatively titled “Elton John: The Cut,” was launched yesterday. All submissions will be judged by a panel of experts, most of whom will be disclosed in January. The three winning submissions will earn the distinction of becoming the “official” music videos for their corresponding songs and will earn the creators $10,000 (the approximate cost of renting one camera for one day on a professional video shoot).